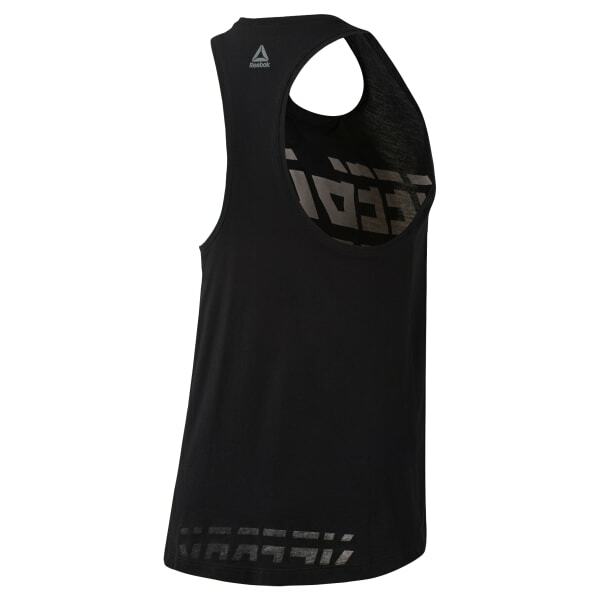 Sporty and comfortable, this women's tank top keeps you powering through a busy day. It's made of all-cotton jersey for a soft feel. The droptail hem flashes a Reebok graphic, giving the shirt unique layering potential.